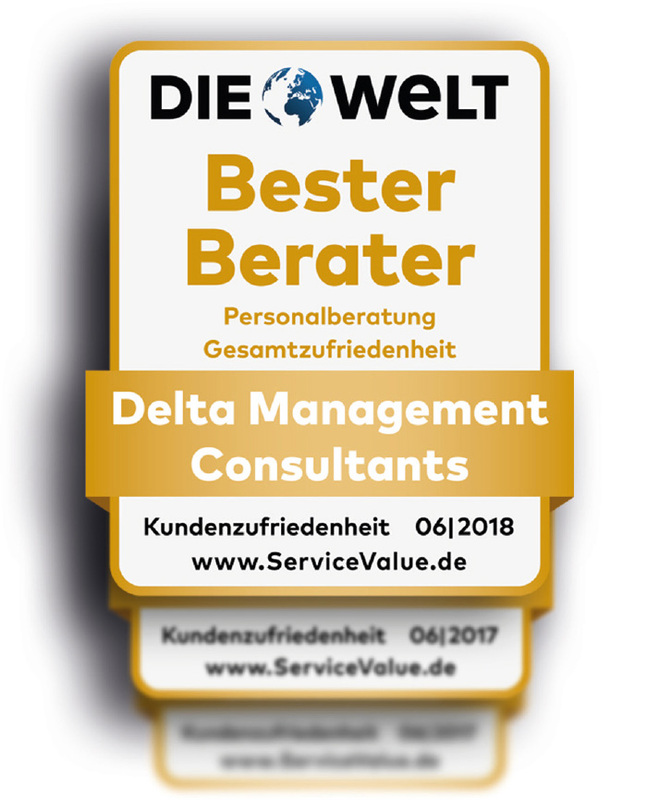 Delta Management Consultants GmbH was founded in 1983 and has been one of Germany’s leading executive search consultancies since the mid-1980s. Our consulting assignments focus on filling top management and senior executive positions. Right from the start we worked on the principle of adhering to certain ethical standards and living out a culture of entrepreneurship. Professional discipline, precision and always meeting the agreed deadlines are the foundations on which our consulting services are built. We are in constant contact with our clients and actively foster face-to-face communication – Delta’s genuine client focus. In recent years we have been able to add many highly qualified young consultants to our team, thus successfully preparing the next generation to take over the reins when the time comes.